Tell us a little about you and what you do! 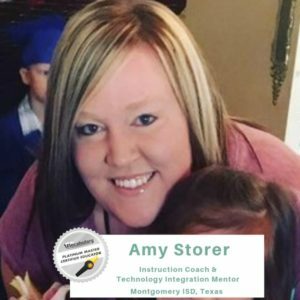 Amy: I am a graduate of Lamar University with a Master’s in Educational Technology Leadership. 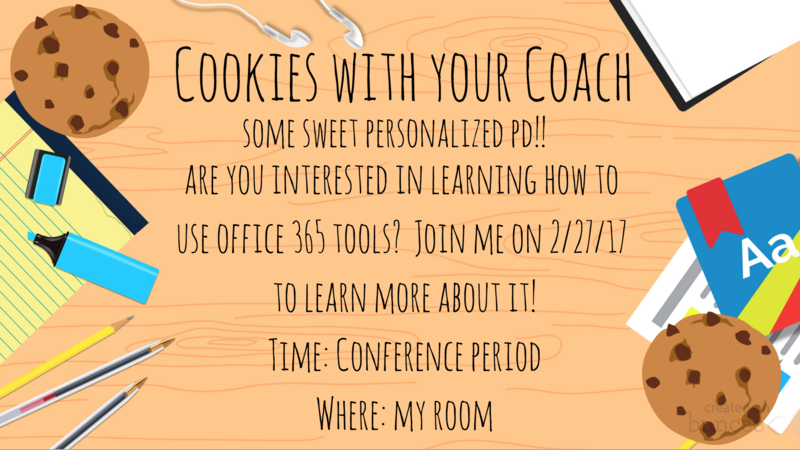 I truly love being an instructional coach for Montgomery ISD. This year is my third year as a campus coach, and I am so happy to be at our newest elementary school, Keenan Elementary. I have taught grades 1-4, and I am also the lead technology integration mentor for my district. I hold two Teacher of the Year distinctions and, in 2015, I was a top four finalist in HEB’s Excellence in Education in the “Leadership Elementary” category. I am an educator that encourages and motivates others to reach far beyond classroom walls to make learning more meaningful and inspiring. I have a true passion for working with other educators and students to encourage them to foster global connections. What inspired you to go into education? What kind of educator do you strive to be? I am an educator because of my mother. She was, and still is, one of the best educators that I have ever known. I can still remember what it felt like to sit in her classroom, watching her with her students. I can still see the colors and hear the music. I can still hear her voice and her laughter. I can still feel what it felt like to belong to a classroom family. It was pure magic. And all these years later, I can feel it in everything I do. Everything I do as an educator is for her and because of her. What's something you're passionate about right now? One of my goals this year was to transform professional learning on my campus and in my district. I was starting to see the need to provide our teachers with more than just the traditional “sit and get” model. I wanted them to want to attend professional development. I wanted them to feel empowered to take risks for their students and themselves. I was always amazed by educators like Eric Crouch and Hope King, who go to great lengths to transform the learning in their classroom. I wanted to do the same for my teachers. 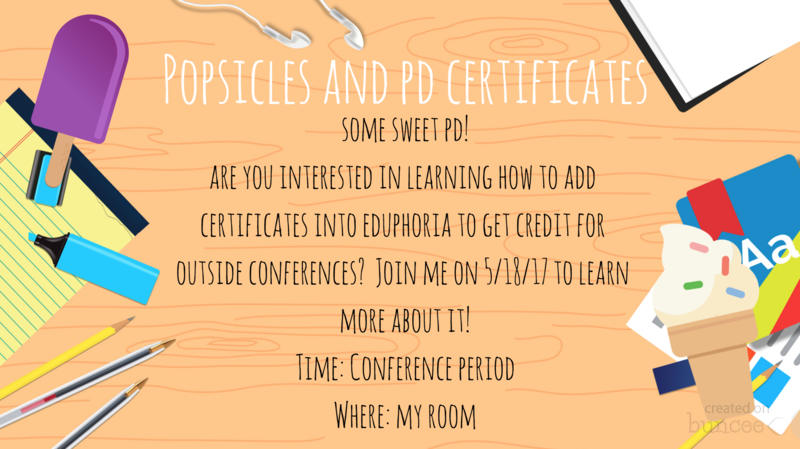 Some of the experiences that I created last year were “Tech and Tailgate,” “Lemonade and Lean on Me,” “Cookies with your Coach,” and “Appy Hour.” With the new school year, we set up some PLCs like “Data-Taste the Rainbow” (we had Skittles, confetti, and balloons) and “Donut Worry-This Year Will Be Great!” (we had donuts). Make learning fun and meaningful for all—that’s my motto! If someone asked you why you use Flocabulary, what would you say? I love that Flocabulary engages and empowers our learners! It is full of rich vocabulary and stellar videos that hook students immediately. It is truly one of my favorite tools to seamlessly integrate into our curriculum. It just fits! 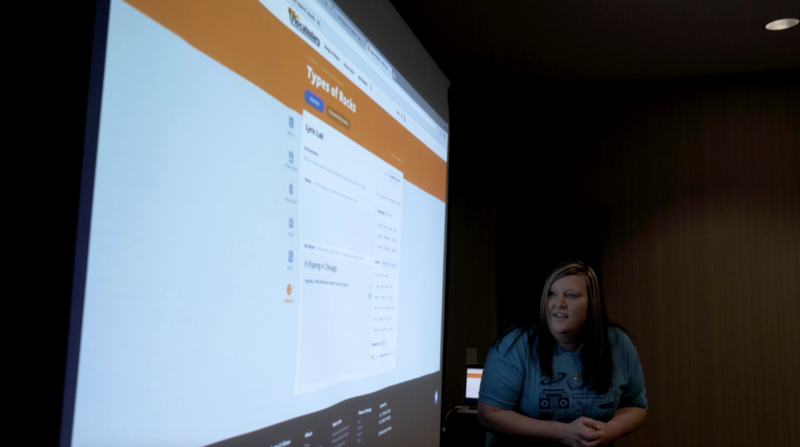 I love sharing tech integration with teachers, and Flocab has been so much fun to introduce to teachers. What I love most about Lyric Lab is how it fully supports students voice and choice. As a classroom teacher, I used Flocabulary all the time to show my students engaging videos. It was my “hook” as a classroom teacher. My kids loved it! 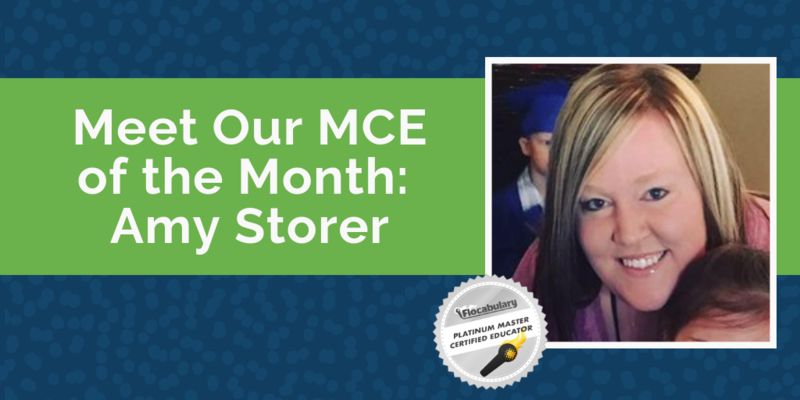 It wasn’t until my first year as an instructional coach that I discovered all of the components that makes Flocabulary what it is! As soon as I discovered Lyric Lab, it was a game changer for me! I was scheduled to present the weekend after I discovered this component, and I changed my entire presentation to fit it in. That was one of my most memorable experiences with Flocabulary. After I showed the teachers how to use Lyric Lab, I challenged them to create a rap and perform it. You could feel the excitement in the room. Since then, I always end my presentations about Flocab with Lyric Lab. It truly is the best way to culminate an activity or topic! 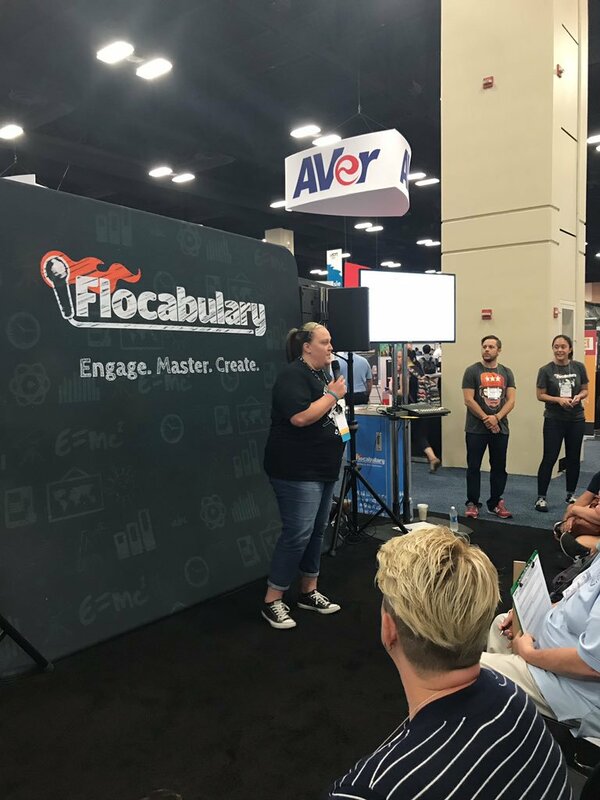 You have spent countless hours training other teachers on Flocab -- from your experience, what's one or two tips you have for new Flocab users for back-to-school? A great place to start as a new teacher, or for the beginning of the year, is with Flocabulary’s awesome library of SEL (Social & Emotional Learning) videos. These are great resources to lean on when you are building relationships and a classroom community with your students. Becoming a part of this community and family has impacted me so much as an educator. The opportunities that I have been blessed with, and the support that I have received, has been such a blessing. And here is the best part: It isn’t because I’m an MCE. This is the type of love and support that they show to all educators! MCE of the Month, and this month, it’s me. So let me tell you something about Flocabulary. It’s a tool that engages and motivates. It will make you see the light, even on a blind date. Check out the lesson cycle, the videos hook you first. Let your students feel the music till their hearts burst! Up next are the vocab cards, and kids love these too! They stretch your thinking. This you already knew. Slide on over to the newest member of the hall of fame. 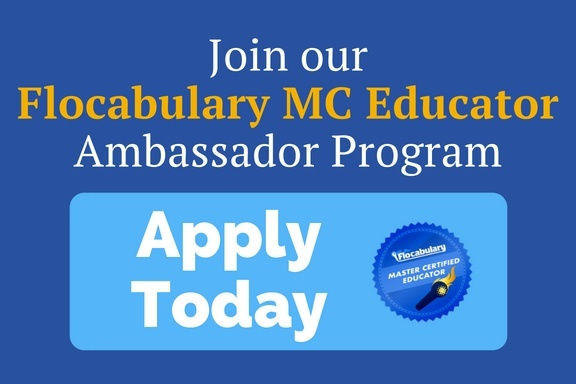 The awesome and exciting–Vocabulary Game! 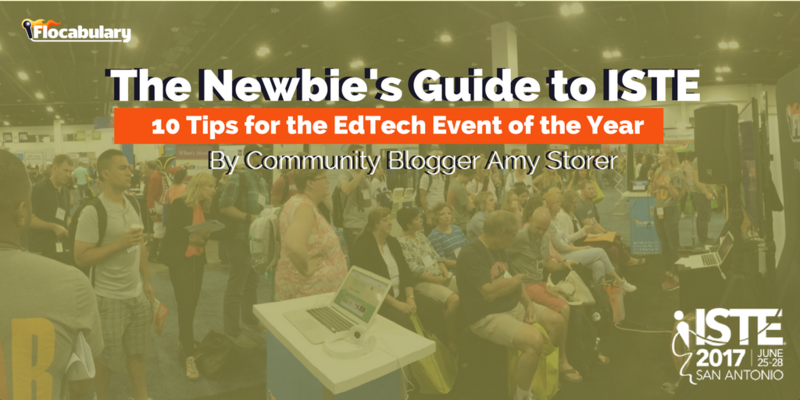 And find out how your students are doing in the educational biz. Last but not least, is my favorite tool of all. It’s the culminating activity called Lyric Lab, ya’ll! !